Step 1 – Log in to your Facebook account. Step 2 – Go to complete URL (visit) to your own, friend’s profile page or any fan page. 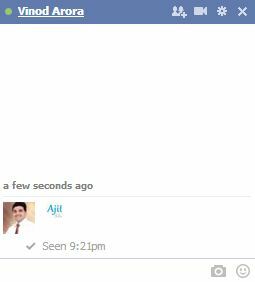 Step 4 – Start chat to any of your friends, and in chat box paste in double bracket which you have just copied , like [[ajittiwaridotcom]] in our example. 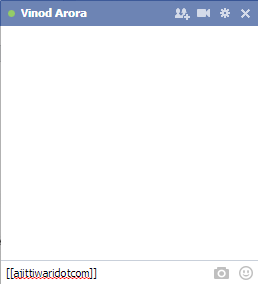 Step 4 – After few seconds you can see the profile image in chat box as like below screen shot. So, I am sure that you are ready to enjoy this amazing feature of Facebook, in case of any difficulty please feel free to contact me. Thanks….